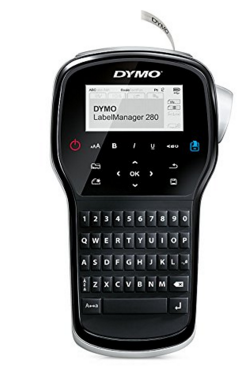 DYMO LabelManager 280 Rechargeable Hand-Held Label Maker Just $14.99 Down From $91.79! You are here: Home / Great Deals / Amazon Deals / DYMO LabelManager 280 Rechargeable Hand-Held Label Maker Just $14.99 Down From $91.79! Do you like to label? The DYMO LabelManager 280 Rechargeable Hand-Held Label Maker is just $14.99 down from $91.79 on Amazon!